Hauser Architects, P.C. was formed in 2003 by Alan Hauser and is based in Loveland, Colorado. Alan was also an owner of Loveland based Architecture One, P.C. from 1984 until 2003. 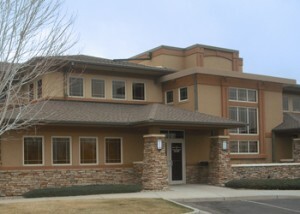 With extensive experience in the design of Civic and Municipal Buildings, Health Care and Recreational Facilities, Custom Single Family Housing, Educational Facilities, Additions / Remodels / Renovations and Fire / Ambulance Stations, we have solidified ourselves as a premiere Northern Colorado architecture firm. We have experience in a wide variety of construction delivery methods including conventional competitive BID, design/build, CM/GC and negotiated construction contracts. Regardless of the method selected, we adhere to the traditional AIA approach of representing the owner’s interests through the construction process. Hauser Architects PC received the Larimer County Building Department’s 2007 Recognition Award for Outstanding Professionalism in the Construction Process. Our staff is dedicated to working with you personally to ensure that your project is designed on time, to your budget and to your complete satisfaction. 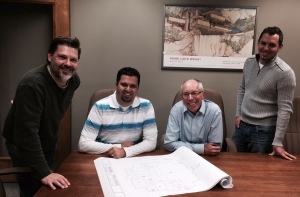 We currently have three full-time employees engaged in architectural design and production. Alan Hauser is a 1974 graduate of the University of Illinois (Champaign-Urbana) with a Bachelor of Architecture Degree and earned a degree of Master of Architecture from the U of I in 1976. He moved to Loveland, Colorado in 1976 and worked for several Northern Colorado firms before founding Architecture One in 1984. Due to a reorganization of the company, he formed Hauser Architects, P.C. in 2003. Bryan graduated from the Denver Institute of Technology in 1996 with an Associates degree in Architecture. Upon graduation, he worked with Schmid Enigeering and Progressive Living Structures in Loveland. Bryan was born and raised in Loveland and has worked with Alan since 2001. Rick graduated from Iowa State University in 1993 with a Bachelor of Architecture Degree. Following the completion of his degree, Rick worked for architectural firms in Wisconsin and Wyoming before relocating to Colorado in 1997. He was a staff architect for Architecture One from 1997 to 2003 when he transferred to Hauser Architects, PC. Rick is a licensed architect in Colorado and Wyoming. Curtis Koldeway is an architectural graduate from the University of Colorado with a Masters Degree in Architecture. He brings 8 years of experience to Hauser Architects. He is a Loveland native. Curtis works with AutoCAD and Revit Architecture to produce construction documents.